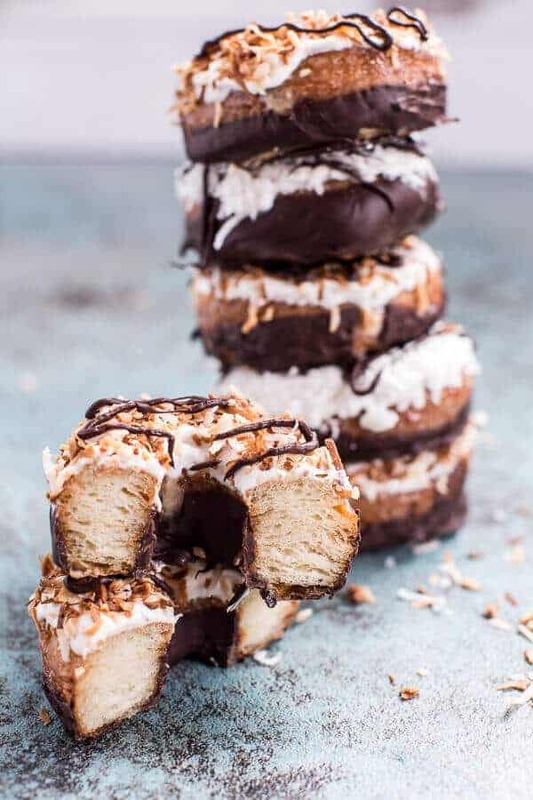 Chocolate Dipped Coconut Tres Leches Cronuts. You’d think I might stop thinking about things like doughnuts, cronuts and chocolate considering that I am in south Florida, where it’s bathing suite weather pretty much everyday day of the year. But no, not even being in my swimsuit can keep me from my chocolate. 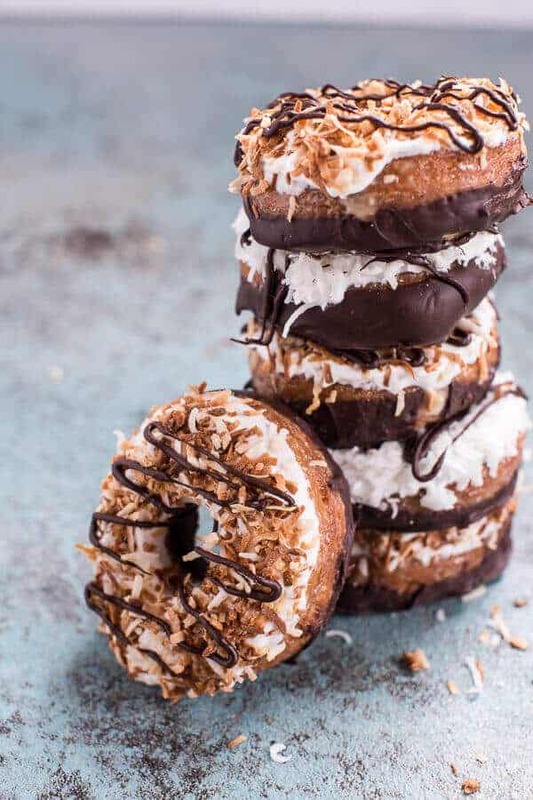 And especially not my mamma who say’s these chocolate dipped coconut tres leches cronuts are heaven-sent. She can’t even look at these pictures while I write this without begging me to make them again on Sunday! I have been dreaming about making these cronuts since January. Yes, January. When everyone else was thinking about salads and green juices, I was thinking about cronuts. It’s so funny how my brain works, but hey, it’s all about balance, right? Yes, balance is totally the key to life…ahh, but not on vacation though. Nothing REALLY counts on vacation. Well, that’s what I am telling myself anyway. Gosh, gotta love vacations! 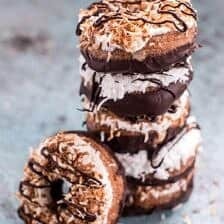 Originally, I was dreaming about making a chocolate dipped tres leches doughnut. To me, it just seemed so wrong to make a doughnut without any chocolate. I mean, where the heck is the fun in that? 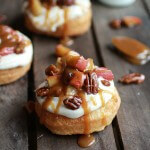 But then… oh but then my brain started thinking and turning and thinking some more, and as time passed and I was ready to make these beauties, I decided they needed to not be just plain old doughnuts, but cronuts. The croissant/doughnut hybrid. AKA the best thing ever. I actually ended up using the same dough recipe I used for last Friday’s Morning Buns. I just loved those flakey, incredible layers so much and the recipe is way easier than traditional croissant dough. Clearly, easier is always better, so I went with it. If you’re looking for SUPER crazy easy, you can always use my good friend, the Pillsbury Dough Boy. I will not lie, in a pinch this guy is a life saver. BUT, if you can, make that homemade dough. SO AMAZING. This is actually my first time making a tres leches inspired recipe, but you know, I am now addicted to the flavors and already have so many new ideas. Can you say Cinco de Mayo? Yeah, already thinking about that. Yes, I am crazy. But at least my craziness results in good food. Anyway, I thought these cronuts would be the ultimate sweet Easter treat. You know I am so remaking them for Sunday (besides my mom would be SO disappointed if I didn’t) . Which by the way, are you guys all ready for Easter? Anybody doing anything exciting? Making anything delicious? Taking a vacation? All of the above? I love to hear how you all are spending the holiday!! In the meantime, I will be sitting in the sun…cronut in hand. The croissant/doughnut hybrid. AKA the best thing ever. Meanwhile, prepare the glaze. In a medium sauce pan, add the coconut milk, sweetened condensed milk, cinnamon stick, coconut rum, vanilla and freshly grated nutmeg. Heat over medium-low heat until everything is combined, simmer for 10-15 minutes or until the glaze is just slightly thickened. Remove from the heat. 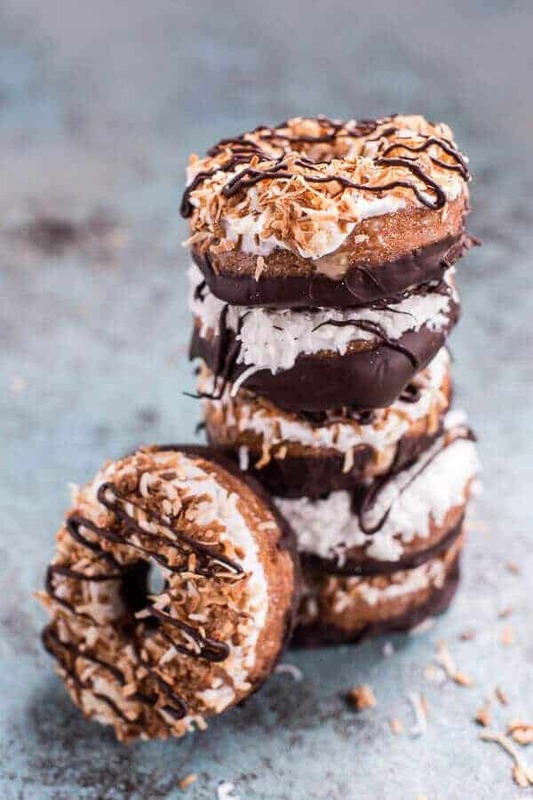 To fry the cronuts. Heat a pot of oil to 375 degrees F. Fry the cronuts in the oil for about 30 seconds on each side, until golden brown. Place on a baking sheet lined with paper towels. 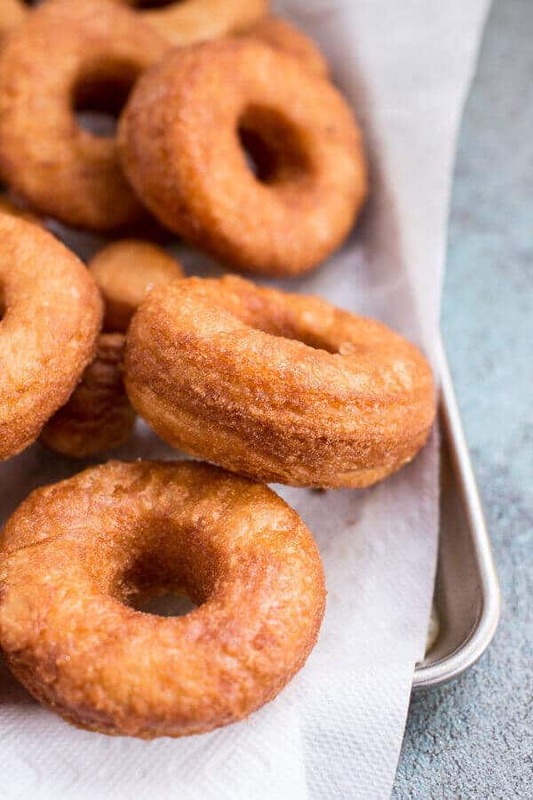 Once all the cronuts have been fried, place them on a rimmed baking sheet. Using a skewer, poke a bunch of holes in each doughnut. I did about 7-10 little holes. 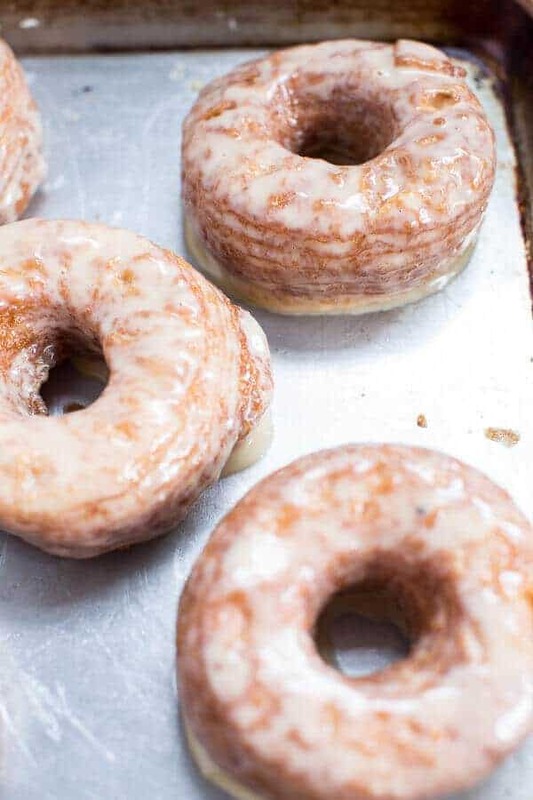 Now grab the cronut and dip it 3/4 of the into the tres leches glaze, make sure you really cover 3/4 of the cronut with the glaze, but be sure to leave the bottom 1/4 of the cronut clean of any glaze. Place the cronut glazed side up on the baking sheet. Repeat with the remaining cronuts. Once all the cronuts have been glazed, drizzle any remaining glaze over top the crounts. Cover the pan and place in the freezer for 10 minutes. Meanwhile, melt the chocolate over a double broiler or in the microwave. Line a baking sheet with parchment or wax paper. 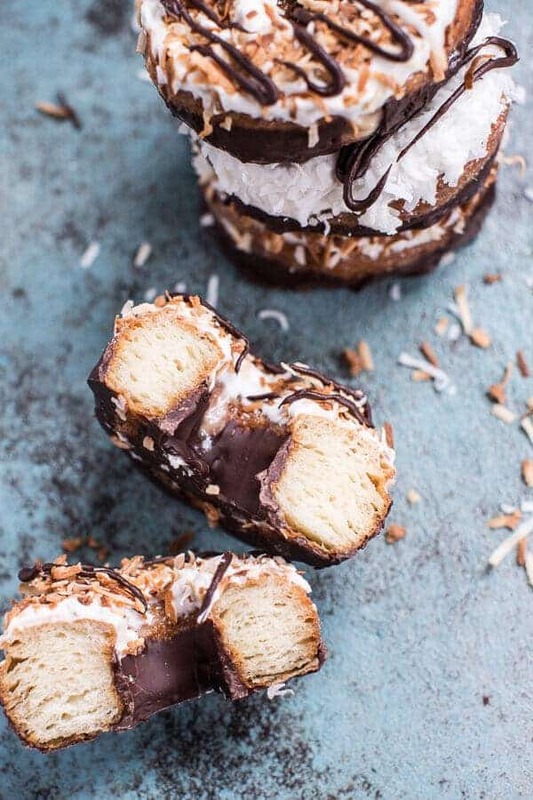 Remove the cronuts from the freezer and dip the bottom 1/4 into the melted chocolate. Place on the prepared parchment lined baking sheet. Allow to sit at room temp for about 1 hour to harden the chocolate (or in the freezer for 10 minutes). 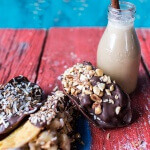 While the chocolate is setting, make the coconut cream. Tip your cold can of coconut milk upside down and open it from the bottom. There should be around 1/2 cup of coconut water at the top. Pour the water into a container and save for another use. Scoop out the coconut milk cream and place in a bowl. Add the 1/2 cup heavy cream. Whip the creams for 3 to 5 minutes, until soft peaks form. Beat in the powdered sugar and 1 teaspoon vanilla. 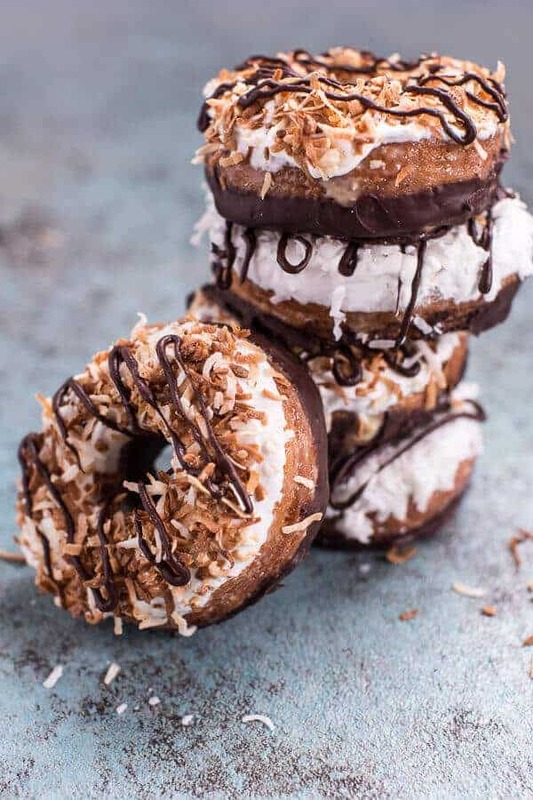 Frost the cronuts with coconut cream and sprinkle with toasted coconut. 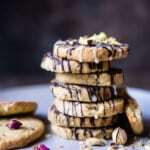 These are best eaten the day of, but will keep in the fridge for up to 4 days. *To make this recipe using Pillsbury Croissant dough, stack 2 rectangle sheets on top of one another, press them together, and press down. Using a 3-inch cutter, cut as many rounds as you can, then roll out remaining dough and cut as many more as you can, I got 8 cronuts. 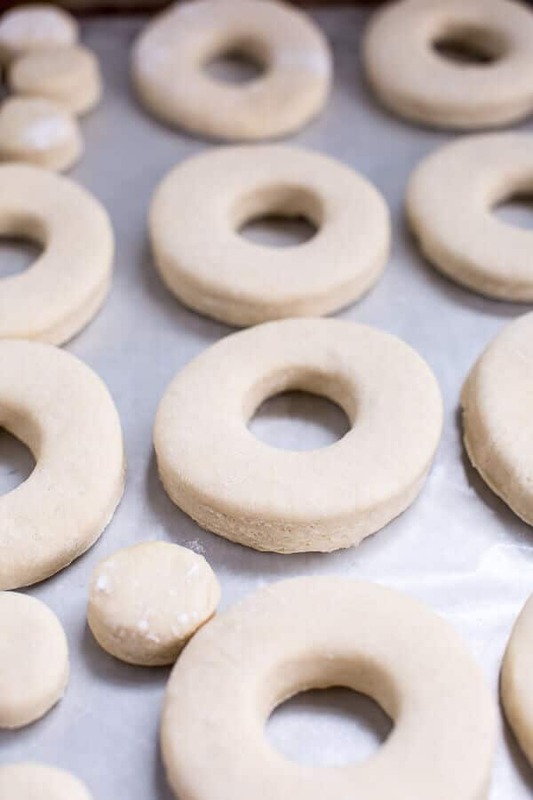 Place the cronuts on a floured baking sheet. Cover with large towel and place in a warm place in your kitchen. 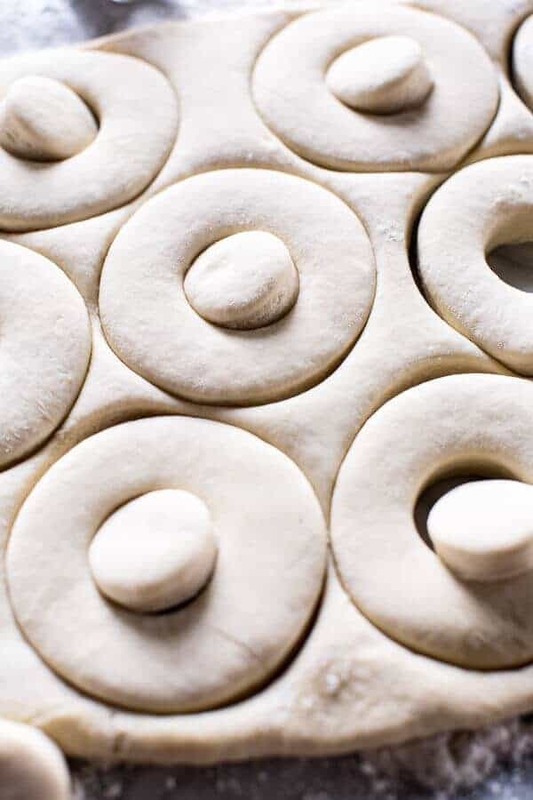 Allow doughnuts to sit for one hour. Have a very happy Easter guys! I can’t stop buying boxes of Samoas (well, until my wallet starts protesting heavily), so these sound perfect. 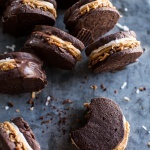 I’d love to make these totally from scratch, but it’s nice to know that there’s an alternative too in case I get too lazy yet still want to try them out. Glad to hear your enjoying your vacation in the sun. I’m always happy to have a couple of days off from school. Sunday I’m eating lunch at a friend’s house and I don’t know what is on the menu. Hope your Easter is a good one and with a lot of chocolate! This is perfection in every fashion. The chocolate. The tres leche. The CRONUTS! That lost shot! All those flaky, buttery LAYERS. I die. I have had a cronut ONCE in my life, and it is a moment that my taste buds will remember FOREVER. 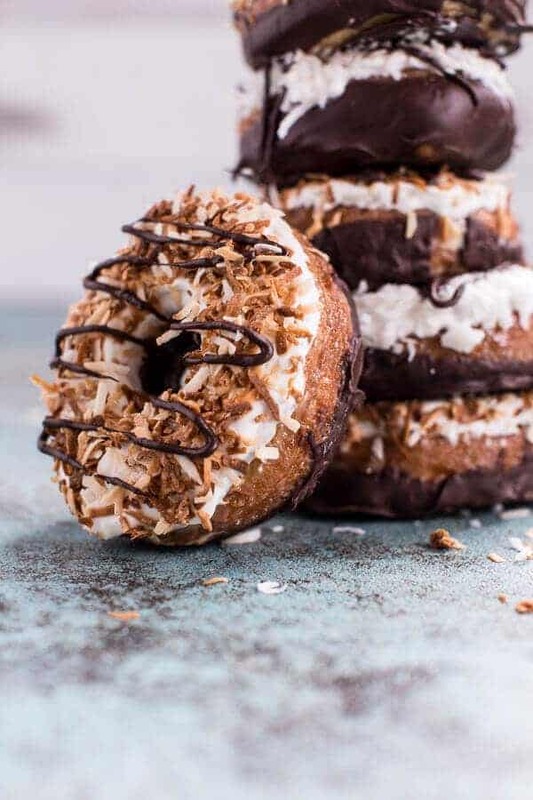 I am loving the chocolate and coconut addition here. Always a good life choice. Pinned! I could totally do this ! Can’t wait! Wow these look amazing! What a perfect Easter treat! Tieghan these Cronuts look crazy good! I can see why your Mom loves these. 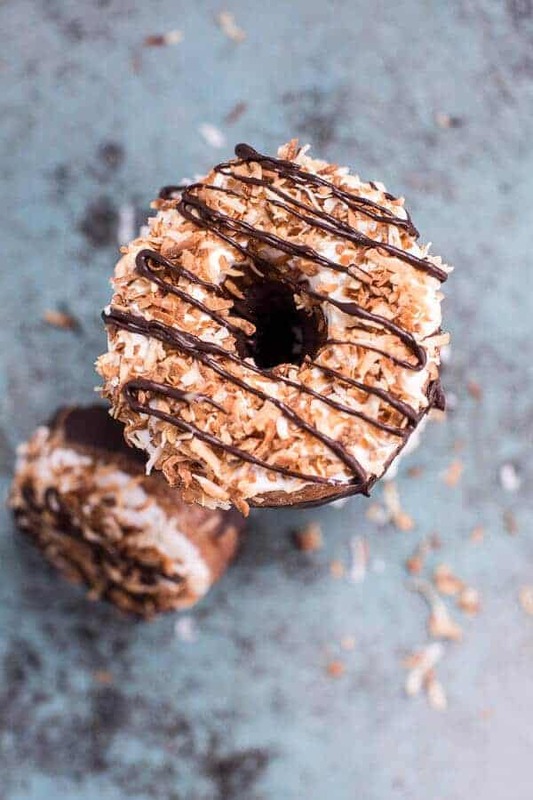 I love anything with chocolate and coconut so your coconut tres leches glaze is gonna kill me!! Extra time at the gym for me, but it’s gonna be worth it! um…….YUMMMM! These are the cronuts of my dreams, Tieghan! Who could blame your mom for begging? I would be. In fact, I may start begging you to make me some! I *really* hope the Easter Bunny brings me these! Holllly moly these look way too amazing!! Officially going on my must-make list for when I decide it’s time to splurge a bit! Tieghan, these cronuts are perfection! Those flaky layers… too good! These cronuts looks insanely delicious. I mean look at those layers! Can the donuts be baked instead of fried? I’m not comfortable working with an entire pot of hot oil in my small apartment kitchen! Yes, they will just be a little less moist. enjoy! wao, i sure it’s very delicious. I love a little chocolate in cake. Thank you. This meal is made by deep soul, so it is very delicious. What exactly do you mean by “canned coconut”? Is this canned coconut milk?